In the first 12 months of our beekeeping experience, we learned a lot about what it takes to keep your hives healthy and thriving. While we know a lot more now than we did when we started, there is still so much more to learn. Here are some of the most important take-aways we can share from our experience so far. Take a course online or preferably in person. Make the time to educate yourself to know if this is something you really want to do before you make that investment of time and money. It can take a lot of both. The course we took was through the Metro Atlanta Beekeepers Association. It was an all day course in winter that was invaluable for learning the basics, and interacting with new beekeepers and experts. It’s also a great place to meet experts that can provide equipment and the resources you’ll need as you begin your journey. No doubt there will be similar courses where you live. They are usually offered in the winter before beekeeping season begins. There are also very good online courses that you can take for free or for a modest cost. A couple we checked out and liked are Ohio State’s free course, one from NC State at $26 per topic and a fairly comprehensive course from Penn State for $129. While these courses are good for learning basic information and we definitely suggest you take one or more of these, there’s no substitution for a real-life mentor or beekeeping club. Join a local beekeeping club and / or find a beekeeping mentor. 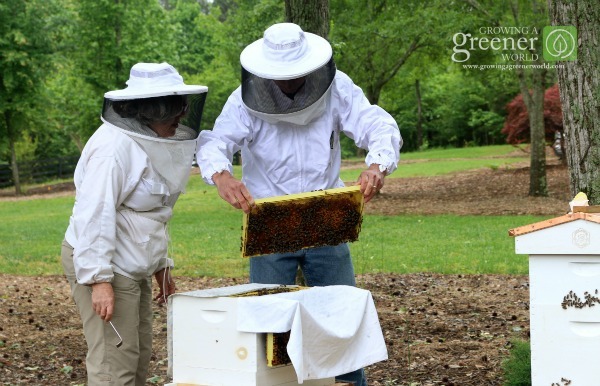 Our Master Beekeeper, Linda Tillman has a wonderful blog that we suggest you bookmark and dive into. She’s a wealth of knowledge and has done a fantastic job of documenting her experiences. Likely anything you’ll want to know, she’s dealt with in her blog. Find a reputable source for buying your equipment. Again, there are a number of great companies. 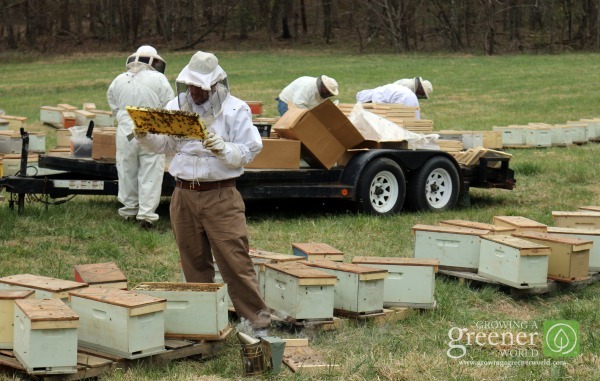 Our go-to source for researching and purchasing the equipment and nucs (complete mini-hives) you saw on the show was Brushy Mountain Bee Farm in North Carolina. Their catalog and information is great and they have knowledgeable and passionate people ready and happy to help you. We also purchased package bees (the second method demonstrated in the show for adding bees to a hive) for the 3 additional hives. We got these from Jarrett Apiaries in north Georgia. If you’re thinking about adding honeybees or taking on beekeeping, here are a few thoughts from our observation over our first year in this new endeavor. This is not a set it up and forget it hobby. While bees are perfectly capable of going about their business with no help from us, to ensure your hive(s) remain healthy, periodic hive inspections should become a part of your routine. Hive inspections are very educational! This is where we learned the most about keeping bees. But it can prove to be a time consuming task. While your intrusions into the hive should be kept to a minimum, on average, inspections should occur about every 10 days after setup and into the fall. Minimal to no disturbance should take place during the winter months. Over time, you will become faster with each inspection. But we found it was taking about 30 minutes per hive to really inspect everything thoroughly the first year. Don’t bite off more than you can chew when getting started. Because this will require an investment of time and money, we suggest you start small and add later. You may feel overwhelmed and confused, especially the first year. We did. The more we learned, the more we realized there is a lot to know. And the answers are not always straightforward. All the more reason it is important to do hive inspections, make notes have a good mentor, club or website where you can go to get your questions answered. One of the most important resources we relied on was our mentors. There is NO substitute for having a real expert by your side to walk you through the steps of hive inspections, what you’re looking for, and what to do for the various things you’ll see over the year. Our confidence grew exponentially with this hands on help! While it may be an investment to have them make house calls, it’s worth it. You will grow so much faster as a confident and capable beekeeper! Make notes at every hive inspection. An excellent tip from one of my experts, BJ Weeks, is to have an index card and pens stored in a zip storage bag and keep it under the top cover of each hive. That way, you’ll always have your past notes right there, and be able to make new notes with each inspection. It will be nearly impossible to remember all the details from one inspection to the next, especially when you have multiple hives. With beekeeping, keeping track of the number of days between inspections and what you observed when is REALLY critical to knowing the health of your hive. I was constantly reminded of this whenever I had questions. Trust us on this. Take notes of what you see, take pictures if you can and keep the notes in the hive but above where the bees live. We’d love to hear them. I always dreamed to have hives in my garden. How many are good to start with? Here’s a link for good bee keeping information. Happy Gardening! I signed up for the PSU 101 course a couple years ago and I wouldn’t recommend it, not worth the money. In the chat room nobody had posted anything in the last three years and no interaction what so ever. Save your money and go to the Ohio State sight or watch any online beekeeping video. I’m starting a new hive after 40 years and like all that I have read first thing that got me was the Hawaii queens I am in Florida and wonder if this could be a good move???? Hi Joe, I just came back from my compost heap, which is in a black compost container, anyways it is full of bees. I stirred it up and bees started flying around and comming out the vents. What shoul i do? I would live to find a dvd educational program for our native bees. Some one said you had one . If you do how much is one? Howdy, Joe; I’ve begun keeping 2 hives now and all seems good with the girls. I’m wondering, though: I hear of chemical treatments for varroa mites (Public Enemy #1 for the bees) but also one involving fat (like shortening) mixed with sugar and placed on wax paper atop the brood chamber — supposedly, this makes the bees’ surfaces slippery so that some mites slip off. Have you seen/heard anything about this method? I’d like to address any varroa issues (when they happen) as organically as possible. Thx much for any feedback …. I did some follow-up with a local old-time beekeeper. Per him: he’s heard of people using “grease patties” for varroa control, but they ended up killing their bees. The girls’ wings became fat-coated, the bees couldn’t fly, and disaster ensued. So …. I think that’s the true scoop. ….. I thought the same as Paul about the bees swarming because of crowding. I wonder why Linda didn’t mention that as a possibility? The wind blew over a large cottonwood last summer and the colony inside survived our mild Missouri winter. With the help of our neighboring Amish and the Geeen hills Bee Club in NW Missourit we transferred them to a hive. I am reading and attending meetings and excited about finding this resource. Thank you! I have been concerned about the bee populations for some time as I have read about their demise and because I remember how thick they were growing up versus what I see today….or at least my feet remember as I was/am barefooted a lot. I have thought about bee keeping for years but have never jumped……yet, mostly because I am in IT and travel at times out of country. Since I live in NE NC and anyone along the coast to middle NC knows the storms we get. I have been viewing your setup and wondering how you deal with them during bad storms like hurricanes, Nor Easters etc. Perhaps there is already an answer somewhere and I have just looked at this site. How about water etc. local to the hives/s? One last issue since I live near farmland where crops are grown, Pesticides, as I would hate that I start hives but they are decimated due to this. I will start reading heavily to try and answer my own questions and look into a class as there was someone around hear in 2015 talking about classes in Currituck county. Of course I need to do something about the carpenter bees as well as I hate to kill any pollinators but can’t let them continue to tear up my house either, I realize this is a separate subject. Don’t know if building something out of wood would get them to move there. Best of luck to all of you out there and hope to be able to do this in the future. Hi, Joe; I’m in eastern NC and planning to get a couple of hives soon (I’ve joined a local beekeeper’s group). I’m wondering: is there an issue with ants attaching a hive? Considering the presence of sugar syrup, honey, etc, well, I’m curious to know if that’s something I should be on the alert for. I’ll place the hives beside my brick house on a concrete patio (adjacent to herb- and veg-gardens). Thx a million; terrific shows, by the way ….. Thanks Mitch! I have not experienced any problems of ants being an issue. However, my hives are well away from the house. I would be sure to pose this question to your group though. It’s always good to hear what others have to say on this or any subject. I was wondering what happened to the original 2 colonies – the ones that were not well equipped for the winter so you were giving them the syrup. Did they just leave? Or were they all dead whenever you opened the hive? Hi Misti. Actually they survived and thrived. Although I didn’t know what would be their fate, by early spring of the following year, they were an active and healthy colony in both cases. I think there some things you need to consider. Because of your hot climate there you may want to consider hive stands that are fully open to allow better ventilation through the screened bottom. Thanks Chris. Always appreciate shared wisdom here! What type of hive do you recommend us to begin with? I can’t decide whether to choose langstroth or top-bar hive. Which type produces more honey harvest? If you are just a looking for one hive, if you can afford the langstroth, go with that. Top bar is going to be less expensive (I have one). Harvesting honey from a top-bar is a bit more involved because there is no “standard size” comb. With a langstroth the frame defines the size. That enables one to use a machine to spin the honey out of the frame, whereas with the top bar you cannot spin it since the size and even shape of each comb will vary. I have only harvested honey once and it was a very labor intensive process – mostly compressing the comb and allowing the honey to drip out. If you are going with multiple hives, you are better served with a langstroth. Learned about this company when they used a crowd funding site to get their product off the ground. Go to: http://www.honeyflow.com/ to learn more. Will value your opinion on their “Flow Frame”. Hi Mark. This concept was the most successful kickstarter campaign in history I believe. But the concept is controversial amongst the beekeeping community. While I read that it mostly works, the issue is in how the combs are accessed for the honey and the ethics of the process to the bees and hive. There’s plenty of opinions and comments on this if you care to google the topic. Great show and details on getting started but when is the follow up show on all of the other stuff that goes on? Primarily how to collect honey (and how much to leave) and how to winter over, how when, and what to feed them, etc. Actually Paul we did shoot the honey harvesting segment from some of Linda’s bees. But due to time constraints on what we could include in the show, we had to leave that part out and save it for the sequel. While we don’t have plans for that currently, you raise a good point and I do think we need to come back and tell the rest of the story. Thanks for your question and idea of a new show. Hi! Loved this episode. I’m also a first year beekeeper. I’m only 4 months in. It’s been a wild ride and a bit scary. Scary, not because of the bees, but because I feel so unsure of what I’m doing being new. Anyhoo, to date–they and the queens in both of my hives are still alive and the bottom supers are stuffed with honey, brood, nectar and bees. I hope they’ll start building comb in the upper super soon. I live in NE so they’re in for a pretty hard winter. I’m going at beekeeping totally naturally, except I have decided to give them sugar syrup if absolutely needed. I haven’t given any types of medications. So far, there are no signs of mites and all appears well. In addition, I’m using foundation less frames and don’t even help them “start” the comb by providing a wax line or wires for strength. I figure-the more they’re able to do on their own-the same way they’ve done for millions of years-the better off they are. One hive has a bee beard on a regular basis, while the other doesn’t–I was told that’s more likely than not because they’re trying to cool themselves in extreme heat and not a swarm. I hope they haven’t been up to anything mischievous–like trying to swarm so close to fall in Nebraska, but who knows. Anyway, I’m glad I’m doing this. I live in a completely urban area-they’re in my backyard. I’ve really done a good job at providing them with a variety of foraging plants, flowers, trees and herbs—but next next year I plan on doing a better job. So, thanks for the video. You’re also so relatable, informative and kind. Good luck with your honey bees. I have Italians. Hi Callie! Gosh I can relate with everything you said here! It IS scary getting started. Especially when you don’t have someone right there standing over your shoulder to tell you what to do. I love that you are letting the bees be bees! So often we try and do too much. Here in Atlanta, it’s been very hot. All my 5 hives have the bees spending the day mostly outside the hive box. It’s crazy to see so many bees on the outside of the hive boxes. But it’s standard procedure this summer here. Thank you for writing and sharing your kind words and experience! I wish you the best with your bees. Bees spend time on the outside of the box when they are warm. They are just cooling off. About your other supers not filling in with new honey comb; it’s dependent on a couple of things. It’s dependent on how your queen was mated. Your queen may not have mated with enough drones to provide enough chromosomes for producing workers or just shooting blanks. The queen’s laying rate may have topped for the season. Remember, bees follow the seasons. Days are getting shorter and a queen will slow down on laying babies in favor for the coming winter. She will stop laying all together. Since you are in a part of the country where the temperature goes below freezing for than just a couple hours, bees move honey into the brood chamber where baby bees would have been laid. It is very important not to feed a hive. That fools the queen to lay more eggs causing a hive to lack nursing bees in the spring when the hive needs nursing bees to keep the hive alive. The fall bees will have died too soon. Please remember bees need to keep the hive around 92 degrees to keep brood going. They will draw toward the center of the brood chamber into a ball in the winter. They consume honey to make heat to survive. Just close the entrance a bit, but allow enough air circulation so carbon dioxide does not accumulate in the hive. Please don’t feel bad about loosing hives, sometimes they are meant to die and there is nothing you can do about it. And other times hive have to take their own coarse. I don’t keep bees, I just talk with them and listen to what they need. I’ve learned to do that over the last 30 years. Great episode showing how Joe started bee keeping. But wondering why he or someone else didn’t try to capture the swarms. Our association has someone to call that will alert other beekeepers that are on the list for swarms and they will come out and capture the FREE Hive! Hi, I am from the Williamette Valley in beautiful Oregon! Presently, my job will have me for approx five years living in Northern CA. My question…if I tend to beehives here, would I have to give them up to local bee keepers once I move back up to the NW, or can these hives be transported with us? This is probably an obvious answer but we would like your opinion on this. Hi Cindi. I don’t know of any reason why you couldn’t take your bees with you. Considering it’s done in the commercial trade all the time, where hives are moved thousands of miles to pollinate the next crop of whatever. While that is not great for the bees, moving them once should be no problem. I know of many people that do this. In fact, the 2 hives I started were purchased in NC and I drove them 5 hours back home to Atlanta. Just consult with someone to make sure you take all the proper precautions to transport them safely. 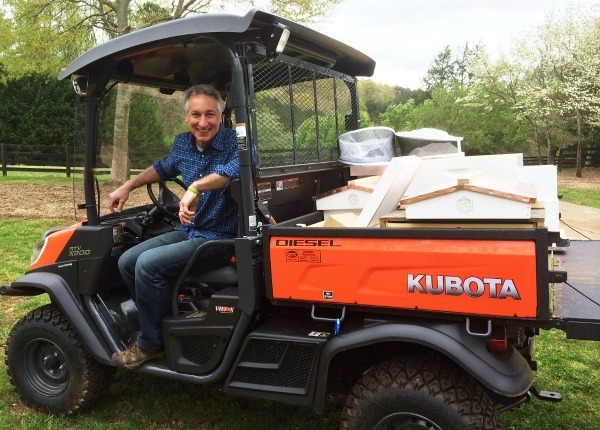 When it comes to moving a hive a few states over, it’s a different logistic. There are issues with moving bees. They bring along pests and diseases. When I started keeping bees around 30 years ago, mite outbreaks were unheard of in Ohio. Pests are increasing within bee hives because farmers are mixing bee hives around the country. Putting bees on trucks also stresses them. Drivers try to time when trucks reach their destination for unloading them off the truck (in the early evening). But two days on a truck is really hard on a hive. I’m not sure how long it will take for you to move your hive. It may be cheaper and easier to sell your present hive and start new. If you like the genetic strain of your bees, you can make a mated queen and take her with you. Order 3 pounds of bees with no queen at your new location, and you will continue your genetic strain. If you really want to have fun, you can order a couple of queens from Hawaii. They start shipping in early January and go through the Fall. They are screwing around with breeding. They are making them mite resistant and very productive. I now live in Northern California, I have taken around 200 lbs of honey from a Hawaiian queen (per year). They run about $25 per mated queen. A lot of the bigger bee keepers are using these queens to stay ahead of their hive losses from transportation, natural pests and Gaucho. They pop one of these queens in each of their hives yearly. The reason Joe could buy bees in North Carolina and move them to Georgia is that he bought them from a commercial company whose hives are inspected and who are regulated to control for the spread of any disease across state lines. A private citizen is usually breaking the law if he/she moved hives across state lines. It’s better just to sell the hives to someone local and start over when you get to California. Nice video. My father helped me put my first hive together when I was 12 years old in Ohio. He kept honey bees in Russia in the 1930s and later taught me. Thirty-five years later, I still have hives. Disease issues have changed a lot over the years. Since I now live in California, I had to learn how to keep bees all over again. I think it’s easier on the East Coast. The climate is closer to where bees are native to. Please remember, the honey bee is not native to the Americas. They are from Europe. It’s different out West. Here are a few observations and comments of your hives from the small snippets of your video(s). From the information provided on the video, the reason your hive swarmed is because of room. You may have had an aggressive laying queen and no room for her to expand. After four weeks, your bees made a queen and split. A general rule of thumb for brood chambers is a minimum of two deep supers (ten frame supers). Try not to mix medium and deep super brood frames. It’s hard to transfer to another hive when needed. You may want to switch to ten frame supers. They are heavier, but bigger. Check around your adjacent properties for other colonies. I did not see many drones in your hive. When your queen emerges after a swarm, you may not have had enough drones to mate. A queen needs to go through at least 10 to 15 drones, minimum, to prevent blank eggs. If the number of nursing bees in your hive is too low after a swarm, there may not be enough production of royal jelly for the queen to develop correctly. She may have partially developed and produce a lot of blank eggs. The hive may have limped along for the rest of the season. I believe you have a carbon dioxide venting problem. You are using one of the new style hives; where there is a screen on the bottom with corrugated cardboard slid underneath. A screen helps fallen mites not get back on bees. It’s a disease prevention thing. It works OK. Keeping the corrugated cardboard in place is the problem. Take it out. It’s only there to measure your mite problem. When bees consume and digest nectar/honey, they product moisture and carbon dioxide. Carbon dioxide is heavier than air and tends to collect on the bottom of things. I noticed you have your hive opening mostly blocked off and the corrugated plastic cardboard in place. There may not be enough circulation to vent CO2. It’s also sealed at the top. I have one of those copper lids too. They are nice to look at, but need openings. When you are trying to extract honey out of the dying hive, there are no enough bees in the hive when it was opened. It looked like three or four frames containing bees. At your time of year, you should have had all eight frames filled. Bees should be purring out the edges of your super when you take off the lid. Last, your hives may have dyed because of temperature. I noticed you kept them in the shade. Bees need a temperature of 92 or 94 degrees for their maggots to gestate. Move the hive into partial sun/shade. Bees keep their hives at the elevated temperature by burning honey. If the temperature is not kept up, brood dies. When I graft larva to make queens, I have around 15 to 20 minutes to move all of my larva to their cups ,so the temperature does not drop. In your part of the country, moisture is not a problem. However, you may have had a lot of rainy days. Take it easy on feeding bees. It gives the queen mixed signals on nectar flow; hence, corrupting seasonal changes for the bees when laying nursing bees. Good luck on your colonies. Don’t feel bad about dead hives; I’ve killed a lot of bees over the years. 😉 And so has chemical companies. Try not to put your hives near a corn or soybean field. And don’t fuss with bee hives. The less they are disturbed, the better they are off. Nature can take care of bees better than humans can. Great info here Paul. Thanks for taking the time to share your wisdom. Much appreciated! Thank you so much for this program on beekeeping as it was very enjoyable and informative. I raised my family in the mountains of British Columbia by establishing the “Down Home Honey Farm” many years ago. I will be showing this to my Grandson Dylan who has asked me to teach him about the bees as the stories from his Mother are many; a lot of great memories! Thanks again as I will be playing a few times. Interested in starting Top Bar Beehives, suggestions please. Finding a local mentor or club can not be encouraged strong enough. There are many diseases and parasites of honeybees that are not mentioned in this video. For a strong hive, they’re not often a concern, but it is something any new beekeeper should at least be aware of. Though the title is a bit insulting, the contents and ease of reading for ‘Beekeeping for Dummies’ can often supply the extra information needed to be successful. I encourage any new beekeeper to read it or another book intended for the new keeper – the winter before you buy your bees and get started. If you’d like to find a online community to ask questions, share stories are simply learn from, there are several on Facebook: bees & beeks, backyard beekeeping, beekeeping and more.